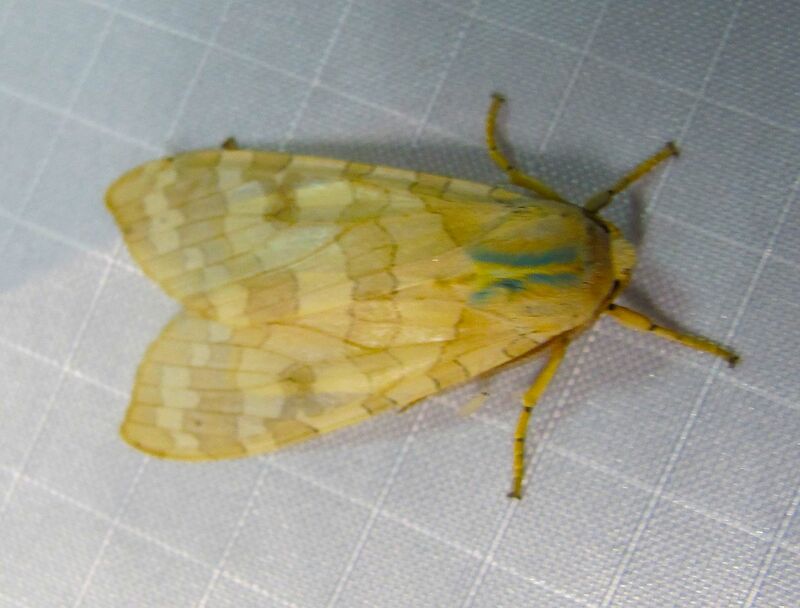 Another identified arrival to the moth tents last night at PXSTL — the Banded Tussock Moth or Halysidota tessellaris. Wings are yellowish-white with bands of beige edged in faint black across for wings. The body is hairy and yellow and the thorax has blue-green lines on the upper sides. Larvae are known to feed on alder, ash, birch, blueberry, chestnut, elm, grape, hackberry, hazel, oak, walnut, willow with no damage to trees.